Product code: ES6264 Categories: Sold Items, Sold Jewellery. 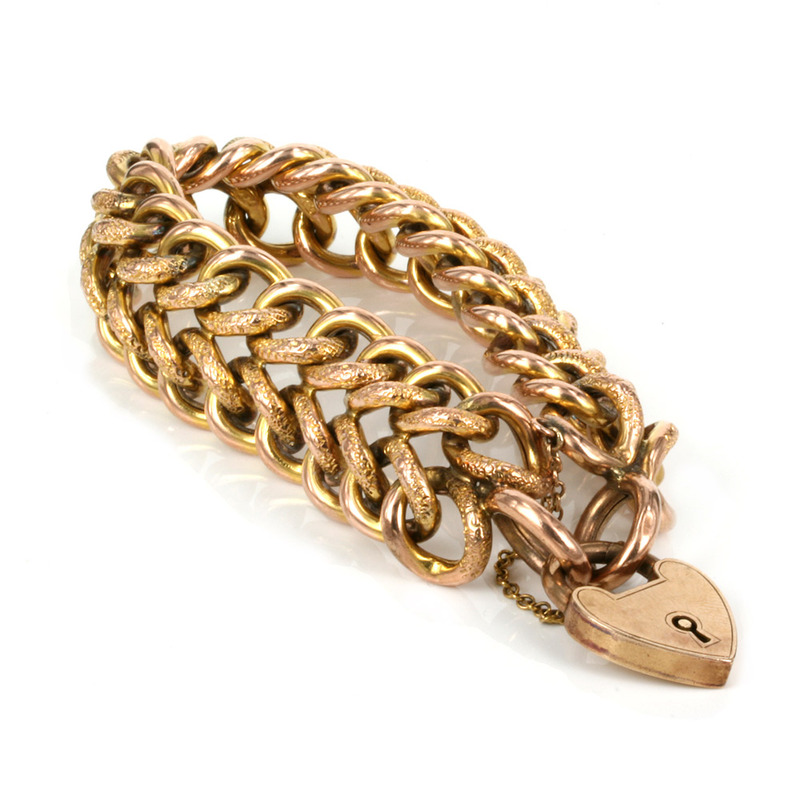 The Edwardian period of the early 1900’s was an era that produced some very elegant and stylish jewellery such as this rose gold bracelet in a technique and style that is so unique and special. 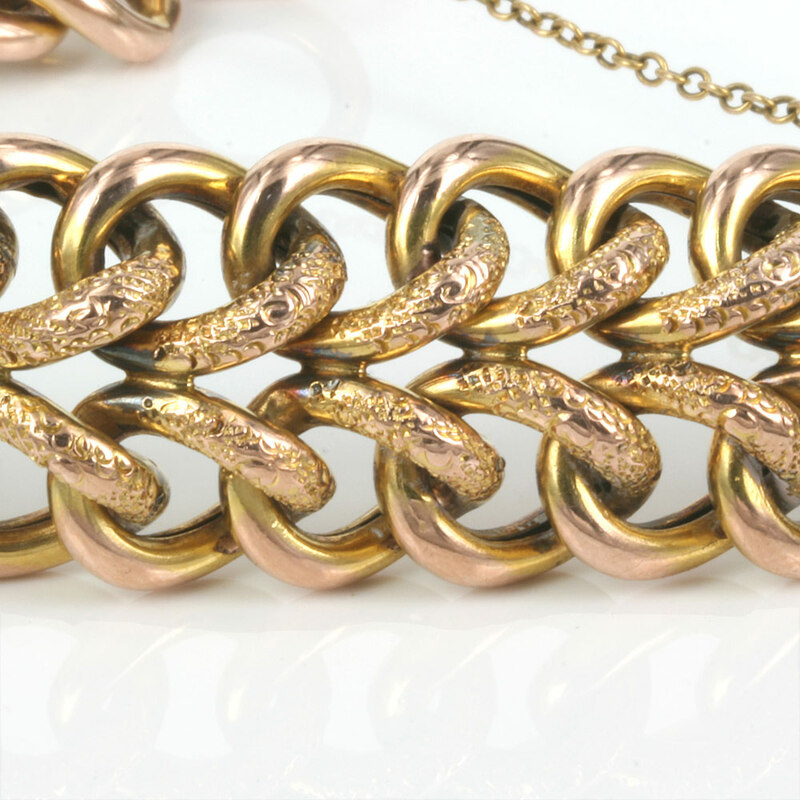 Made in 9ct rose gold, rose gold itself was very popular in this era and has made a resurgence in popularity in recent years as it looks so wonderful against the skin. Here the bracelet was made in a traditional curb link design, however its very special stand out feature is the way there are a series of two curb links attached side by side. This has a remarkable effect when it is worn. Firstly this makes the bracelet measure 18.6mm wide which looks fantastic on the wrist and secondly it gives the bracelet a wonderful flowing curve to it that wraps around the wrist perfectly. 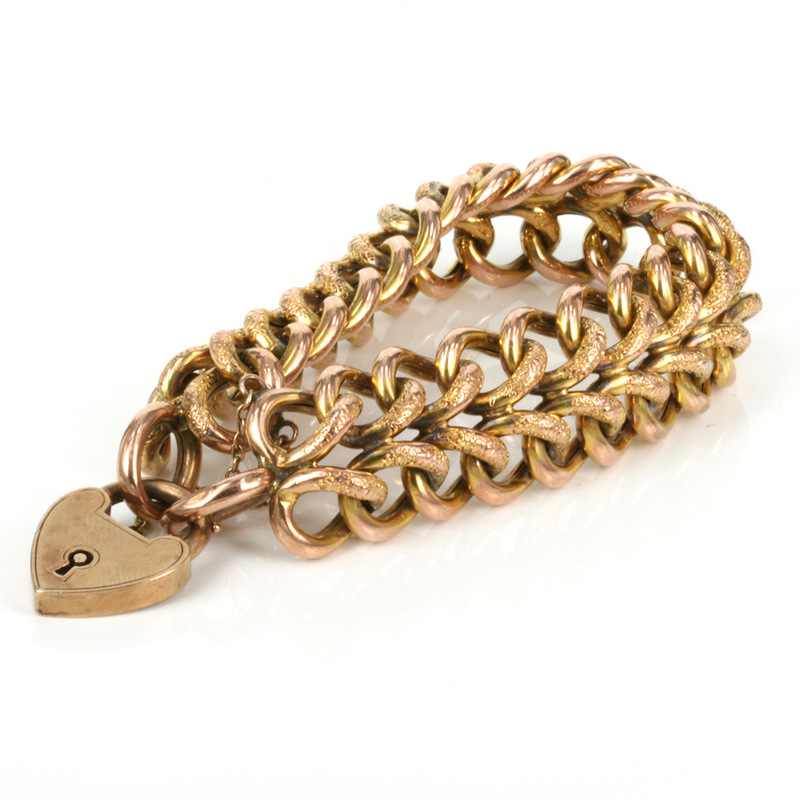 It is fitted with a lovely rose gold heart shaped padlock and safety chain and is so comfortable and easy to wear all the time. 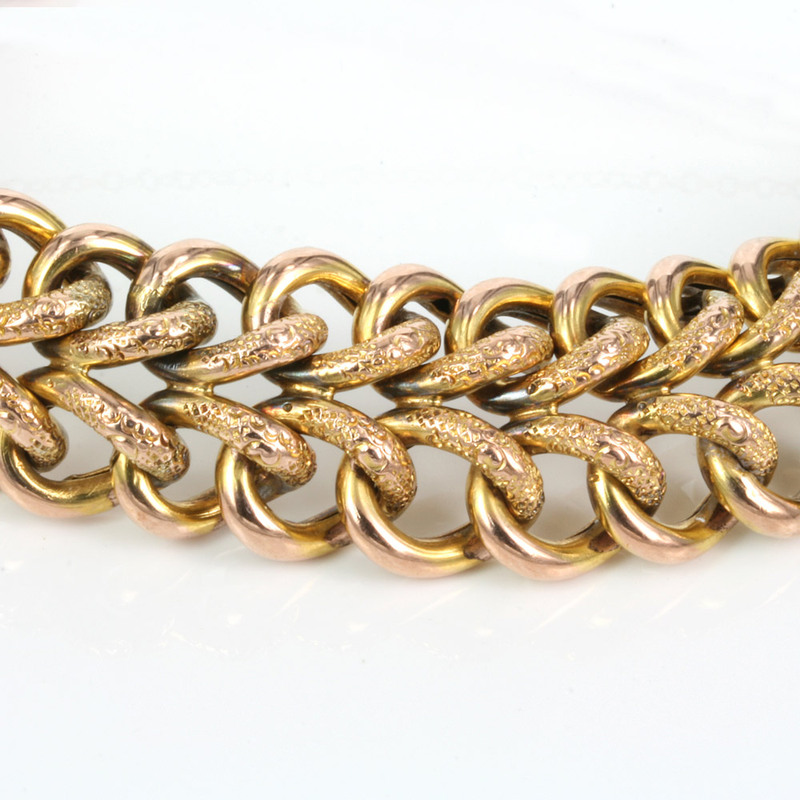 This is such an elegant antique bracelet whose design combined with the rose gold really makes it even more special and unique.